You guys asked… I’m delivering! 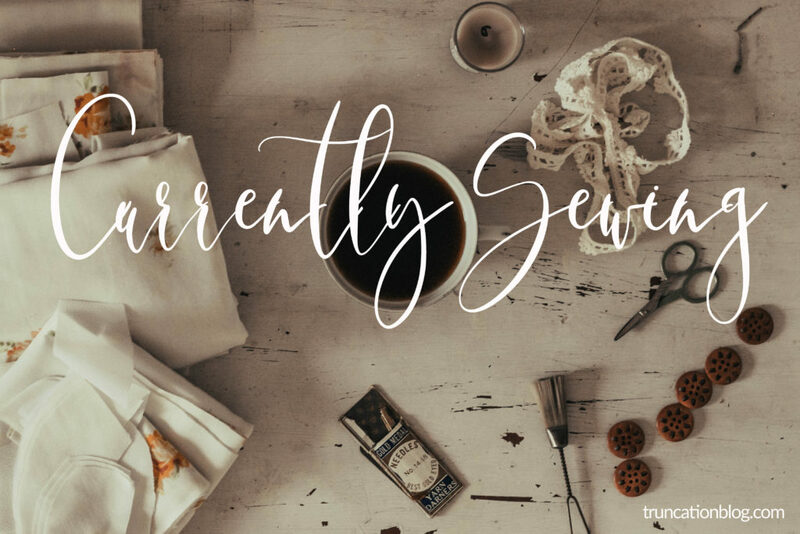 I’ve had SO, SO many requests for more posts about sewing, and I’m super excited to share my first post today! For those who don’t follow me on Instagram, I bought a sewing machine (this one), last February and I’ve been making clothes for the girls and myself ever since. It’s been really fun. I’ve found sewing to be such a cathartic hobby, and I love that my hobby has useful purposes for our household. I know a lot of you have asked how I was able to just jump right in so let’s start today’s post with a little sewing history ? My Grandma, Aunt, and Mom were/are whizzes at sewing so it definitely runs in my blood. When I was in high school my mom showed me how to use her sewing machine, and I dabbled a little bit. I never made clothes, but I made pillows and little things like that. I’ve also done a bit of cross stitch, and basic mending… so I had some previous knowledge. Anyway, what I’m trying to say is that I was able to jump right in because I had some previous knowledge/skill with sewing. If you’re starting out and you have zero knowledge, I would suggest taking a local class. If that’s not available to you, get on YouTube! Anytime I run across an instruction in a pattern that doesn’t make sense to me, I find a video on YouTube that addresses the problem. And don’t invest in nice fabrics right out of the gate. Go to your local thrift store and pick up some fabric (look at the sheets if they don’t have a good fabric selection) to practice on. I JUST started purchasing new fabric to use in my projects, and I’m so glad I didn’t right away. I’ve had a few successes, but I’ve also had some projects that had to be scrapped. I’m still not at a point where I can make a garment and have it look 100%, but with every project I notice an improvement. So don’t be discouraged if it takes some time to figure it all out! 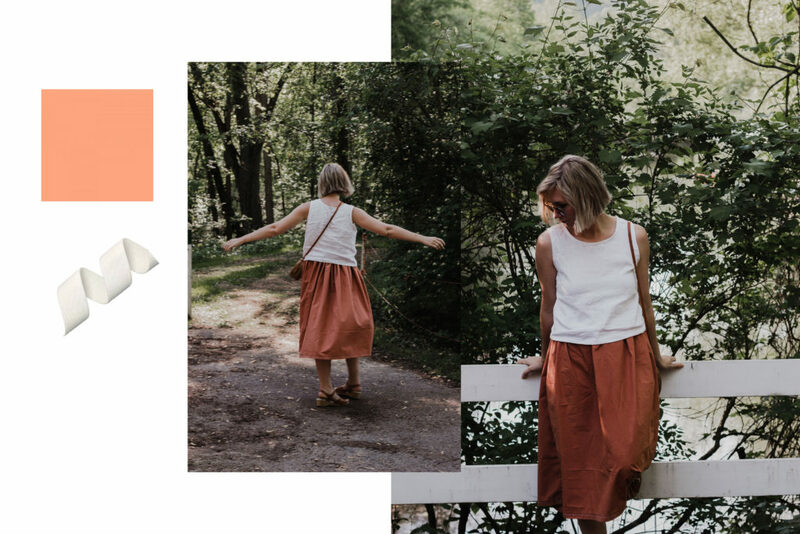 Right after I first started sewing Gaby from the Organic Fabric Company contacted me, and asked if I wanted to collaborate (see this Instagram post). enter the Geranium dress from Made by Rae. It’s all that I’ve made for the girls so far, but it’s just such a GOOD pattern. I highly recommend it if you are just starting out (and even if you’re not!). And the fabric was all found at thrift stores! This project was so fun! I’ve been super inspired by PO-EM lately, and all of their gorgeous prints. I just picked up these shorts (love!! ), but I knew I wanted to play around with making something myself. I self drafted this tank top based off of this tutorial from YouTube (instead of the neckline from the video I did a double v neck, and I lessened the swing aspect at the hemline)… tutorial to come! The tank literally took me an hour from start to finish. So easy! I used a white linen, and then I found some fabric paint and just painted some swishes on the front with a paint brush. I love how it turned out. This was the first thing that I sewed where it turned out exactly how I envisioned it. Okay… this was a bit of a flop. Though I do think it can be fixed! I was attempting to do an Elizabeth Suzannesque midi skirt, but I think the project was set to fail from the very start because the material is not that nice. I got it at a thrift store, and I loved the color. But the fabric itself just doesn’t lay very well. I used this tutorial (it’s a good one! ), but I didn’t have the correct elastic size so the waist bunches up really uncomfortably. I think what I’m going to do is get the correct elastic, and try out this gorgeous linen. I have a feeling the end result will be much more desirable. Lesson learned on this project: always take the longer route… it’s worth paying attention to the details and doing things correctly (instead of trying to take shortcuts). So that’s it! I’ve had so much fun doing this, and hopefully this post inspires you to give it a try. I really don’t think you’ll be sorry. It really is such a satisfying use of time. Anyway, I could totally see myself wearing that top and even envision myself making it! 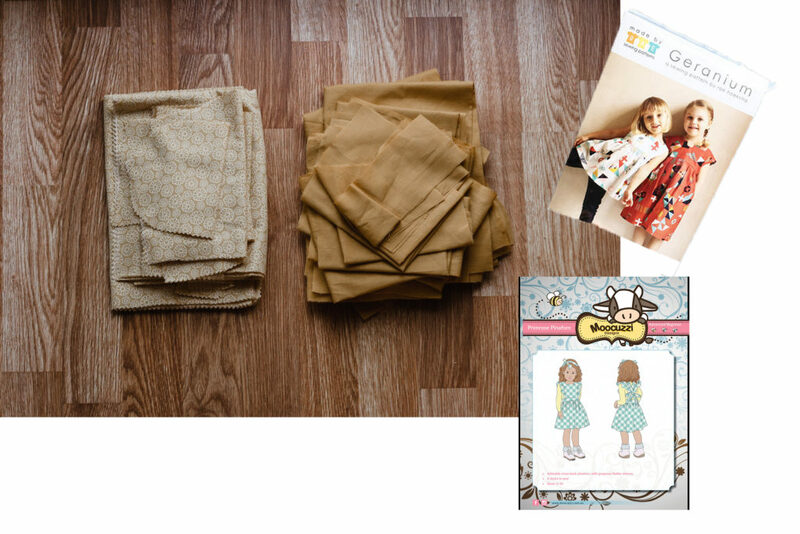 I have a couple of projects in mind too — maybe I should just buy a sewing machine. Any tips on how to buy a machine? My mom and grandmother both sew, so it’s in my blood. I just have to make time for it! I just recently found them and I LOVE everything they do! So unique and cool. As far as the sewing machine goes, I just went to Walmart and picked up the one that was in my price range. 😉 It’s pretty basic, but it does a good job! This may be a strange question, and maybe I just don’t live near the kinds of thrift stores you do, but when you say that you thrifted the material, what do you mean? Do you buy garments and deconstruct and repurpose the material, or do you find never used cast-offs from other peoples’ stashes of fabric at the thrift shops? I’ve also recently started sewing, using my mom’s old machine that was just hiding in a closet! I’m intrigued by the idea of thrifted material, but don’t quite know where to start…etsy? brick and mortar shops? online buy and sell groups? Perhaps tips on thrifting material could be a topic for a blog post. 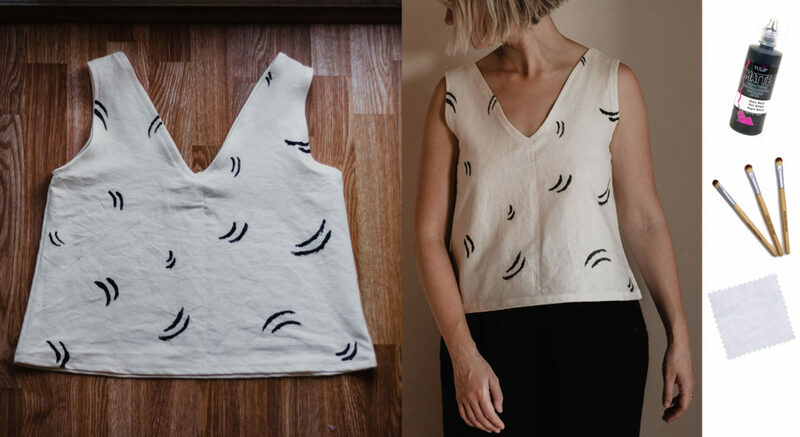 Love your self-drafted tank and painted pattern! It’s beautiful! I’d be so scared to start the painting portion, and then probably wouldn’t know when to stop, haha. My thrift stores actually have a section for cast off fabric… it’s over by the sheets and other textiles. I would say definitely keep most of your thrifted fabric to thrift stores because it’s hard to know what the quality of fabric is unless you can see and touch it.